Like many people, I keep several versions of memoQ installed on my computer at the same time. Some of these are newer versions, which are strictly for testing until I have determined that they are completely stable for the processes I rely on in my work. 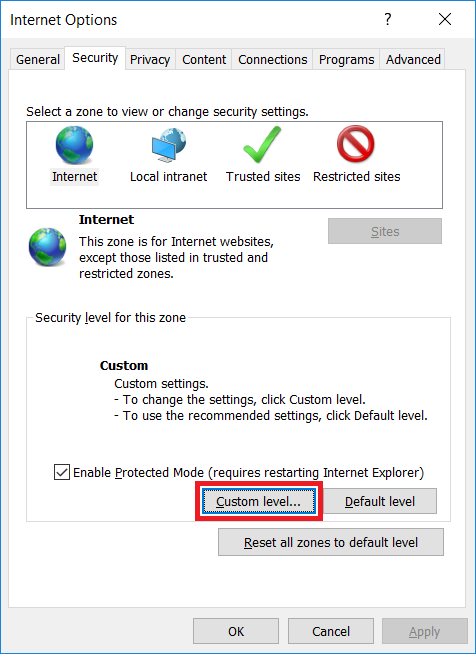 Others are older versions needed for compatibility with particular client servers that have not been upgraded yet. One thing that has always been somewhat inconvenient to me in maintaining multiple versions of the software on my computer is the fact that Kilgray does not distinguish the icons at all between versions, nor do they distinguish the icons used for various auxiliary programs for memoQ, like the web search and the very useful TM external search tool. Well, I fixed that. I created a series of new icons to distinguish the shortcuts I use to launch various memoQ versions and the memoQ TM search. They are available here, along with the original 64x64 pixel memoQ icon in case somebody wants to do a different custom icon based on it. Changing the icon for a program shortcut is very simple. Simply right-click on the shortcut on your Desktop, for example, and click the Change Icon... button to open the corresponding dialog, from which you can select an icon file (*.ico) or a program from which to extract an icon for use. 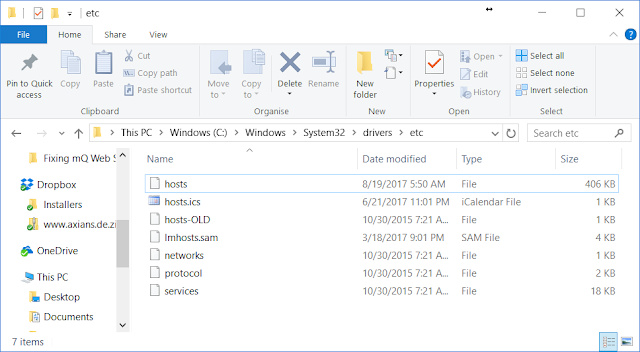 There are, of course, other approaches, such as using the free Resource Hacker tool to change the icons used by the EXE file. But messing with executable files isn't really advisable in most cases. The site can also convert ICO files into bitmap files that can be edited using Microsoft Paint or other applications. Click on the logo above to go to the site. Appearances matter in your CAT tool. The problem is not so much the italic text per se, but the user's choice of display font for working. I have the same problem sometimes. Usually what I do is switch the text in the translation and editing grid of memoQ to a monospace font like Courier. I also keep the non-printing characters visible (and do so in Microsoft Word as well) so that I can pick up formatting problems like extra spaces, for example, or optional hyphens (which tend to produce "rogue tags" in a CAT tool, making term matching and search functions useless in most cases and complicating the work in other ways too). Change the font size to one you can work with easily on your screen. We all have our favorite fonts. For proofreading change the font to the one that allows you to find mistakes most easily. Start by trying Times New Roman, Arial and Calibri and work through other fonts until you find one you like. It would, of course, be nice to have a one-click changover possible; I don't think any tool offers that at present. Considering that everyone faces this issues, software providers should think about that. A font like the one above isn't everyone's cup of tea, but it would slow me down and make me notice careless typing errors better when I read through a text before delivery. This post is gender-neutered to provide a safe space for today's university students to pick up editing tips. Is your terminology research slowing you down? 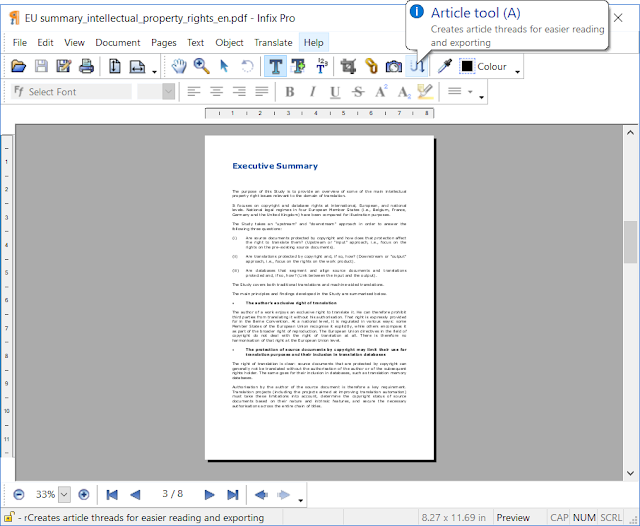 When we translate Microsoft Word documents, we often find ourselves having to leave Word to look up terms online, for example in monolingual dictionaries for definitions, in bilingual dictionaries or translation memory databases for translations, on specific reputable websites (such as newspaper websites) to double-check usage or frequency of use, or on clients’ own multilingual websites to check how certain terms have been translated in the past to ensure consistent use of terminology. This sort of research involves switching to a browser, copying and pasting or retyping our term into a search box, possibly adding specific search criteria, and finally launching a search: all that typing and clicking can be time-consuming and easily cause us to become lost among the many windows opened. This is where macros come in. A macro is essentially a short sequence of commands that automates repetitive tasks. Macros cost nothing to create and can be tweaked to do exactly what you need them to do, based on your specific language combinations and favourite online terminology resources, providing these lend themselves to this sort of querying. A macros consists of code, which you simply need to copy and paste into the Macros section of Word. That done, you then need to assign an icon to the macro and add it to your toolbar to launch the macro with a single click every time you need it. If you wish, you may also assign a specific key combination to the macro (for example CTRL plus a key of your choice) so that you can launch the macro from your keyboard, too. From now on, when translating a text in Word, all you need to do is place your cursor on a word that you wish to look up and click on the corresponding icon in your toolbar (or use the assigned key combination) to launch the search. That’s all there is to it! SOLUTION... with a single click! ...you need to look up a term in the bilingual dictionaries www.leo.org and www.dict.cc but this requires opening your browser, browsing to both dictionaries separately and pasting in or retyping your search term on each website... quite time-consuming! A macro to search both dictionaries at once taking your word from MS Word and inserting it automatically in both dictionaries for you... with a single click from within Word. ...you wish to run a search in the online translation memory database www.linguee.com (or linguee.de, linguee.fr, linguee.it etc.) to check how other translators have translated a certain term or expression. 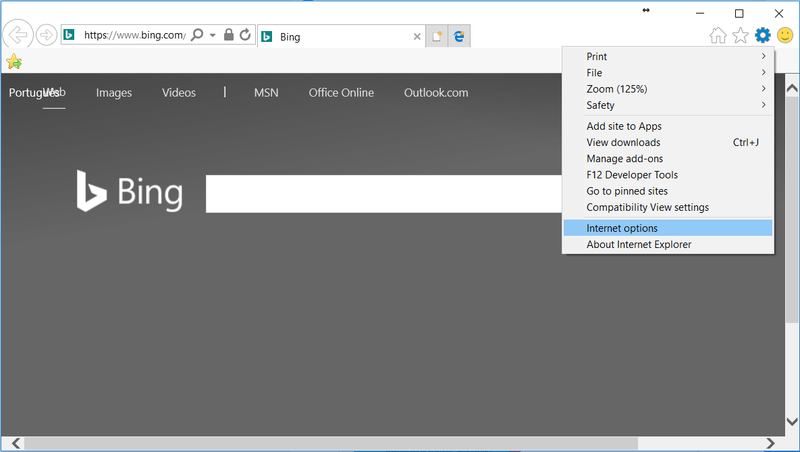 A macro to search Linguee taking your word from MS Word and inserting it directly in the Linguee search engine with a single click from within Word. 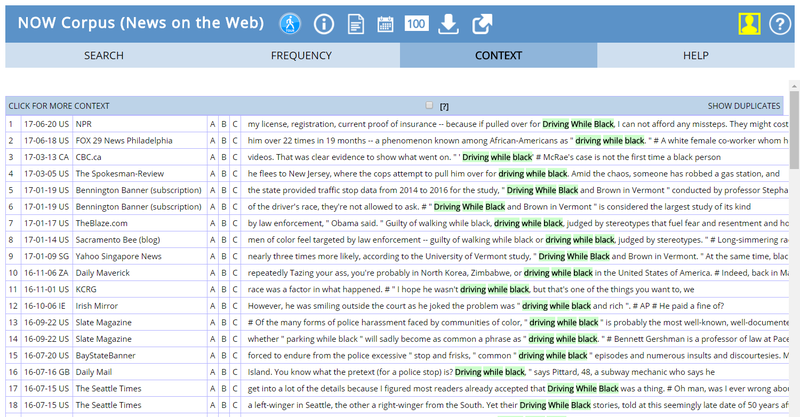 This macro produces a list of source- and target-language sentences containing your search term along with context. ...you are translating a text and need to check how a particular expression is used. You decide to search reputable sources such as high-quality newspapers to check usage and/or frequency of use of a specific term or expression. Where do you look? A macro to search specific newspaper websites which you consider reputable sources from within Word. ...you are translating for a company that has a multilingual website and you need to check how a specific term has been translated in the past. 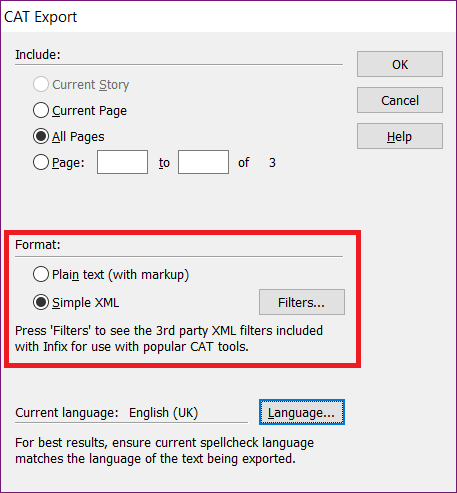 A macro to search for the term on a specific multilingual website from within Word. ...you are translating a text and can't find an appropriate translation of an expression or technical term in any dictionary. A macro to search for your term on a large multilingual website such as that of the European Union from within Word. 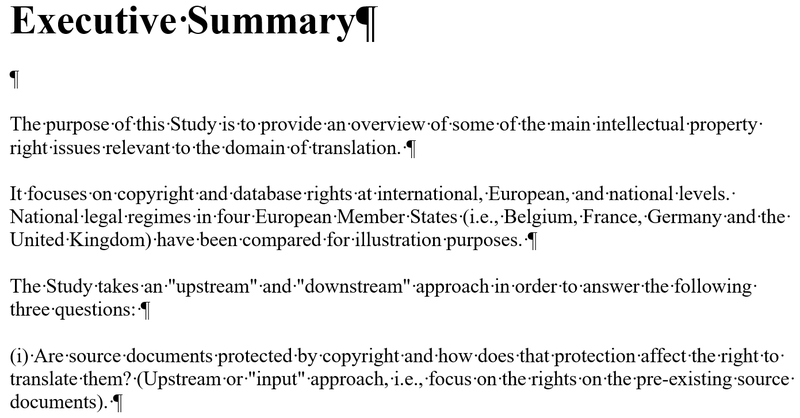 This macro targets the section of the EU website containing translations side by side (“parallel texts”) on the same page, saving you precious time. Once you have opened a page on the EU website, all you need to do is specify your target language under “Multilingual display” to view source and target language side by side. The macros themselves are written by a translator with translators' needs in mind and can be adapted to your specific requirements. ... reducing them, too, to a single click in Word! Tanya grew up in Buckinghamshire, England, and went on to study in Zurich, where she obtained her diploma in translation. She now lives in the Ticino, the Italian-speaking region of Switzerland, where she works as an English translator (from Italian, German and French) and proofreader. Kilgray's memoQ Cloud service is a very convenient platform for learning and testing the latest features of the memoQ server and operating a server for small teams without the hassles of maintaining the server infrastructure and software in-house. For those considering a dedicated server for their company or institution, it offers an excellent opportunity for pilot testing at low or no cost depending on how long you use it. The first month is free; after that the monthly charges (to a credit card) currently start at EUR 160 or USD 175 for an account with one project manager license and 5 web access licenses (to which anyone with a licensed copy of memoQ can connect, without the need to include Translator Pro licenses in the subscription - these are needed only if users without a license will be connecting with the desktop editions of memoQ). I use the memoQ Cloud server occasionally for shared projects, because it allows me to configure files and resources (of all kinds) more conveniently than file-swapping by e-mail or Dropbox folders and provide better support to my team members. For €160 per month in the months I need it I am on equal footing with any large agency with a memoQ server for the team sizes I want to work with. And I can even share the translation memory resources with colleagues who use SDL Trados Studio using the free Kilgray plug-in for that platform which enables access to any memoQ server online (with an access account created). The only disadvantage of this service for me is Kilgray's annoying tendency to force upgrades much too soon in the release cycle. This won't matter at all to someone testing the memoQ Cloud server to evaluate the latest release; in fact, this is helpful to avoid the occasional server setup difficulties with new versions on which the paint has not yet dried so you can focus on evaluating features and general stability. But if you are in the middle of a big project, this can be a nuisance. More often now I assume, since Kilgray's current strategy involves more frequent minor version releases. If there is a compatibility problem between the latest release and a team member's memoQ software version, and that person isn't current with the annual maintenance and support plan (which includes free upgrades), they will be stranded for access from their memoQ desktop application until the missed annual fees are paid up. But until today there was another mysterious hassle that I finally got sorted out. When I first started using memoQ Cloud, I paid the subscription with a US credit card from an old credit union account there. No problems. However, when I incorporated my business in my current country of residence and tried to use a card from my business account there, it never worked, and the explanation screen was displayed for only a brief time, with the text completely garbled due to an incorrect codepage specification for the web page. The first time this happened, I assumed the problem was Kilgray's, and after some back-and-forth with support, the company kindly made an inconvenient exception to their "credit card only" rule and sent me a normal invoice to pay by bank transfer. This isn't a usual thing as I have learned from some frustrated potential corporate customers who don't want to pay by credit card, so I am grateful that something was worked out in that case so I could get on with some urgent teamwork. After a break of six months or so, the need for a cloud server arose again, and again I had the same trouble with my business credit card. After grumbling briefly to a friend at Kilgray who had sorted the mess out before, I decided to call my bank, because in the meantime my reading skills had improved enough that I was fairly sure that the trouble had nothing to do with Kilgray. Indeed. 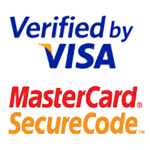 The credit card verification and approval service used by Kilgray for web payment is 3-D Secure. In the case of my bank, this service is not available for credit card payments unless its activation is specifically requested. Such a thing never occurred to me, because I use the same card with Amazon and others to order dictionaries and other work materials. As the technician at my bank's help desk explained, there are several different payment approval systems for web transactions with a credit card, and it's merely a coincidence that the others I have dealt with haven't used 3-D Secure. He activated the service immediately (no cost), and five minutes later my memoQ Cloud subscription was renewed with the means of payment I preferred to use. So it was in fact not Kilgray's problem at all, but it's probably a good idea for their support staff to take note of this scenario, because I am surely not the only one who got tripped up by 3-D Secure not being activated for my card. I am sort of embarrassed that I didn't think of this possibility earlier, but I don't do a lot of shopping online, and for minor stuff if one card fails for reasons unknown, I just shrug and use another. In fact, I think the same problem may have occurred with an airline ticket last spring, but I never associated that with my earlier troubles. From time to time one reads reports about politically sensitive mistranslations from Google Translate or other popular machine pseudotranslation (MpT) services. At least some of these may result from deliberately targeted "corrections" from pranksters. And recent hype about in-ear real-time translation earphones and such make me wonder how often such things - or even the routine severe errors of MpT services - will result in some poor sap getting the crap beaten out of him due to such occurrences. Although I happily engage in a bit of "corrective monkeywrenching" myself from time to time, I had not considered the wider implications of all this and the possibilities for more interesting trouble. However, in the light of recent events and the ongoing revelations of Russian cyber-interference in the US electoral process, we should think a little about the trends in the lower echelons of the business translation sector and what potential difficulties might arise from deliberate "interference". The Unprofessional Translation blog recently posted an article about such things, which got me to thinking about how easy it would in fact be to mess with the data stores for machine translation systems in use at corporations, government agencies, healthcare facilities, etc., subtly altering records to produce results at odds with the purposes of their users. Can't happen? Yea, yea. Not to the voter registration servers in the US either, much less the electronic voting booths in use there. If such things were possible, which of course they are not, then one might wonder where this cost-cutting lemming rush to use machine pseudo-translation for so many things might take the foolish users if their political or market adversaries had an interest in modifying the intended messages. Imagine the implications of tampering with a system used for criminal interrogations or judicial proceedings. Already, some fools are using machine-based processes for translation and interpreting in such scenarios. I have already had considerable personal doubts about colleagues and their work when they talk of relying on machine pseudo-translation as a sort of "dictionary" to get vocabulary that they might otherwise have to research in a real dictionary or transparently sourced glossary. MpT results tell nothing of the sources from which vocabulary is derived and usually present no original context for comparison. This proved to be a problem domestically not long ago when my Portuguese partner used Microsoft's online translator to look up the English word for a common kitchen implement and got nonsense as a result. Mixing up pots and pans is no big deal, but medical, commercial, legal and political terms, or the subtleties of ordinary human interactions in difficult situations require accuracy or at least transparency to aid in identifying possible problems and their source. 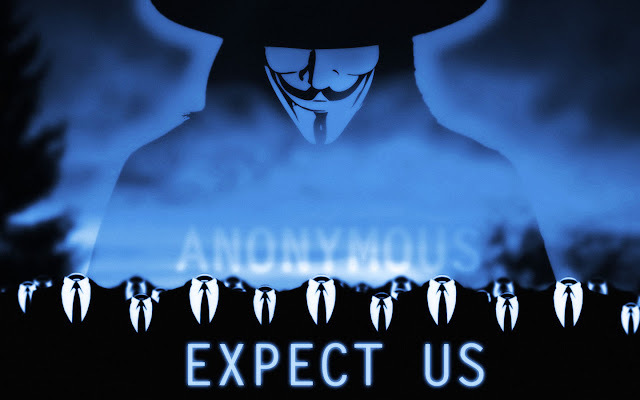 And in the rough-and-tumble real world of commerce and politics there is now new scope for subversive action by paid and inspired data terrorists acting against those who put their faith in machines rather than the competence of professional translators and interpreters. A Mox on all their houses! Alejandro Moreno-Ramos is a translating electromechanical engineer working from French and English to European Spanish who for years has captured the essence of translators' tribulations with his Mox cartoons, which are available online at the Mox blog and from Amazon in two hardcopy collections, Mox: Illustrated Guide to Freelance Translation and Mox II: What they don't tell you about translation. The blog went quiet about two year ago, but recently Alejandro has begun to publish his cartoons again to the great delight of his fans. It takes one from the trenches to represent the profession with an honesty and clarity you'll never see from the Common (Non-)Sense Advisory and the rest of the bog. Check out Mox's blog and enjoy! 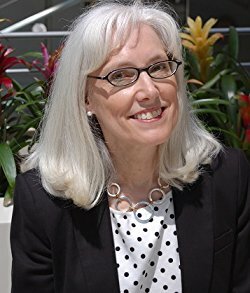 Carol Saller surprises a lot of hardline editors by stressing flexibility when it comes to supposedly hard and fast “rules.” The focus, she seems to feel, should be on clarity for the reader and on a good and useful working relationship between writers and editors… As well as translators and editors! I had some difficulties decided how to title this post given the historically loaded connotations of possible alternatives. The Oxford Dictionaries project does a lot of useful stuff, offering quite a number of monolingual and bilingual dictionaries free and by subscription, which are of great value to editors and translators. I am particularly excited and encouraged to see bilingual and monolingual resources from Oxford for some common African languages now, such as Setswana, Swahili, Northern Sotho and isiZulu. In recent years it has been a great blessing to meet some African colleagues from Egypt, Nigeria, Kenya, Angola and elsewhere at IAPTI events, memoQfest or other venues. In some of my education support efforts through IAPTI I have found rather interesting resources in South Africa and a few other places, but on the whole it appears to me as an outsider that colleagues there face a relative shortage of resources for any work they might do with local languages not transplanted from Europe. So it is a great pleasure for me personally to discover and share such resources (and I would encourage others to do so as well in the comments below). The Oxford global languages also features other important languages such as Indonesian, Malay and various Indian languages like Hindi, Gujarati, Tamil and Urdu. And then there are the usual suspects like English and Spanish. I fell in love with the Oxford English Dictionary as a child, when I found the long shelf filled with its volumes of historical etymology. The dictionaries mentioned and linked here are focused more on current usage of living languages, but they should have much of the same scholarship and rigor that goes into the making of that marvelous OED. Enjoy. A big thank you to Italian veterinary surgeon and translating colleague Claudio Porcellana, who solved the mystery of the memory leak which has plagued users of memoQ's Web Search for years now. While Kilgray developers busily work on alternative engines for fixing future versions, Dr. Porcellana used his head - as impatient Southern Europeans are wont to do. The problem it seems is with troublesome Java applets on sites like Linguee. So he simply turned them off. And plugged the leak. After I made this change, I tested memoQ Web Search. Instead of the usual steady increase in memory consumption I used to observe due to the infamous leak, everything remained rock stable, and all my site searches that I typically use for legal and scientific translation worked just fine. This fix ought to work with all versions of memoQ since the introduction of the web search feature (in memoQ 2013 R2 I think it was). So thank you, Dr. Porcellana, for making our working lives a little less crash-prone! UPDATE: Further testing has revealed (as noted in some comments below) that there is more to the story. I was puzzled that some people continued to experience the memory leak unless "active scripting" was active, and at Varga's request I tested again on my system (I was sure up until then that his troubles might be tied to a Hungarian system, but it turns out that is in fact not the case). 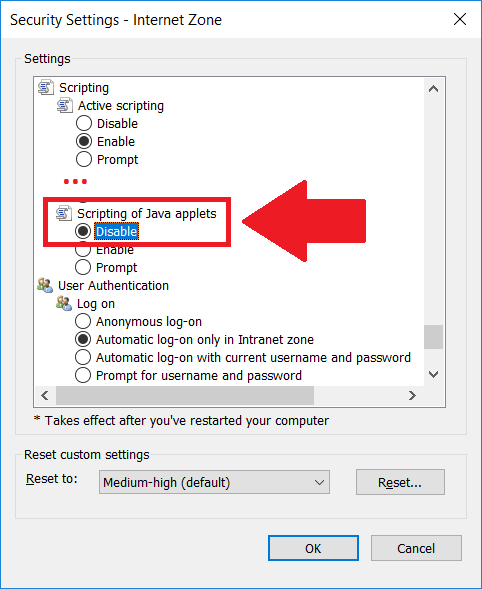 To9 my astonishment, the problem re-appeared after it had been eliminated before after disabling the Java applet scripting alone. I had to turn off "active scripting" too to achieve stability. And then suddenly the problem went away again. Puzzling, right? And annoying of course. And then an idea occurred to me, and I dug up my Linguee user account password and logged in to Linguee under my user name. I contribute a lot of terms when I search in other browsers so I have a lot of credit, and this credit is applied as searches without ads. It's the advertising. Some ads seem to involve Java applets. Other ads do buggy things with scripts that do not use applets. And some ads do neither of these two things and cause no trouble. 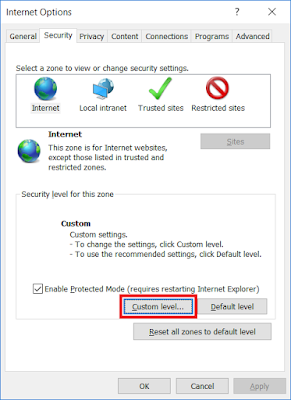 Maybe an ad blocker applied to Internet Explorer will fix the problem for memoQ Web search until the changeover to Chromium occurs in the next version. [No, it does not, alas.] In the meantime, I will achieve stability for today's big job by staying logged in to my Linguee account! 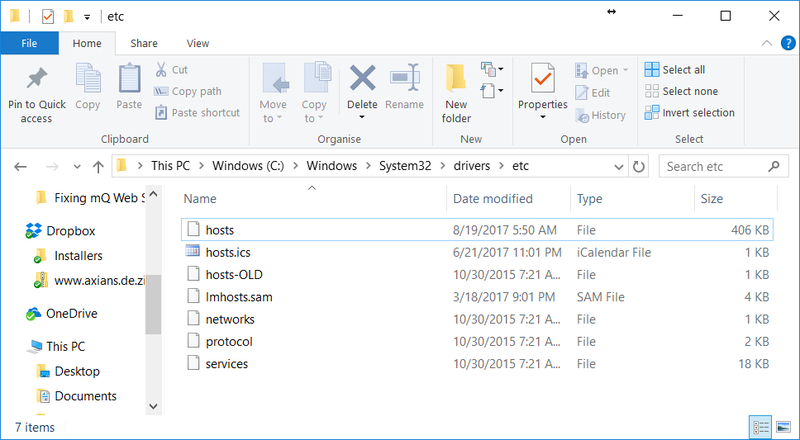 Substituted hosts file on my Windows 10 system; the old file was backed up by re-naming it. I recently put together a two-hour online workshop to teach some practical aspects of terminology mining and the creation and management of stopword lists to filter out unwanted word "noise" and get to interesting specialist terminology faster. A recording of the talk as well as the slides and a folder of diverse resources usable with a variety of tools are available at this short URL: https://goo.gl/qvwJbf. The TVS recording file can be opened and played by the free TeamViewer application. The discussion focuses primarily on Laurence Anthony's AntConc and the terminology extraction module of Kilgray's memoQ. 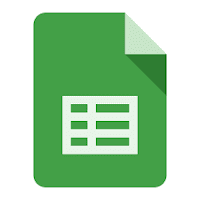 When I presented various options for using spreadsheets available in the free Google Office tools suite on one's Google Drive, I was asked if there wasn't a "simpler" way to do all this. The answer is yes. However, there will be some restrictions to accept regarding your data formats and what you can do with them. If that is acceptable, keep reading and you'll find some useful "cookie cutter" options. When I wrote the aforementioned articles, I assumed that readers unable to cope with creating their own queries would simply ask a nerdy friend for five minutes of help. But another option would be to used canned queries which match defined structures of the spreadsheet. Let's consider the simplest cases. For anything more complicated, post questions in the comments. One can build very complex queries for a very complex glossary spreadsheet, but if that's where your at, this and other guns are for hire, no checks accepted. You have bilingual data in Language A and Language B. These can be any two languages, even the same "language" with some twist (like a glossary of a modern standard English with 19th century thieves' cant from London). The data can be a glossary of terms, a translation memory or other bitext corpus, or even a monolingual lexicon (of special terms and their definitions or other relevant information. The fundamental requirement is that these data are placed in an online spreadsheet, which can be created online or uploaded from your local computer and that Language A be found in Column A of the spreadsheet and Language B (or the definition in a monolingual lexicon) in Column B of the spreadsheet. And to make things a little more interesting we'll designate Column C as the place for additional information. 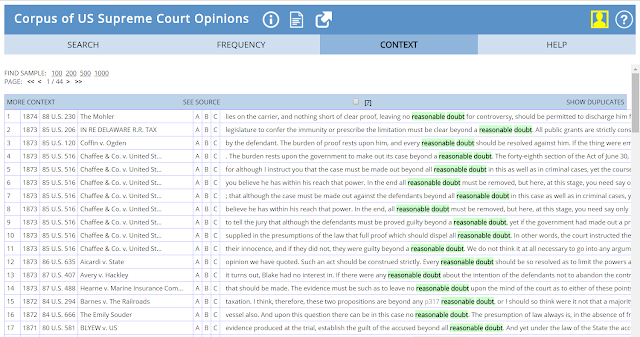 Of course <some text> is substituted by the actual text to look for enclosed in the single straight quote marks. 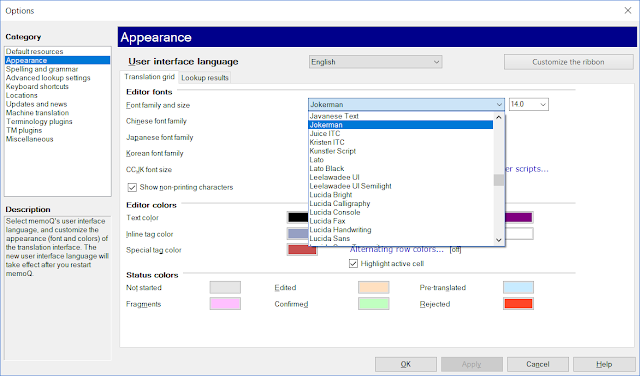 If you are configuring a web search program like IntelliWebSearch or the memoQ Web Search tool or equivalents in SDL Trados Studio, OmegaT or other tools, the placeholder goes here. The statement above will return results where the expression is found in either Column A or Column B. 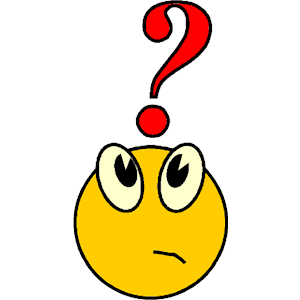 Other logic is possible: substituting AND for the logical OR in the WHERE clause returns a results table in which the expression must be present in both columns of a given record. And yes, in memoQ Web Search or a similar tool you would use the placeholder for the expression twice. Really. The base URL of the spreadsheet (look in your browser's address bar; in the address https://docs.google.com/spreadsheets/d/1Bm_ssaeF2zkUJR-mG1SaaodNSatGdvYernsE7IJcEDA/edit#gid=1106428424 for example, the base URL is everything before /edit#gid=1106428424. This is accomplished simply by adding LABEL A 'Portuguese', B 'English' to the end of the query string. If you look at the URL in the address bar for any of the live web examples you'll notice that space characters, quote marks and other stuff are substituted by codes. No matter. You can type in clear text and use what you type; modern browsers can deal with stuff that is ungeeked too. To do more formatting tricks, RTFM! It's here. This week I'm in Lisbon teaching a 24-hour Boas Practicas (best practice) evening course for translation technology with David Hardisty and Marco Neves. Tonight we're covering web search with various sites and tools, including memoQ Web Search. Unfortunately, Kilgray provides examples of configuring the web search only for English and German, and many of the site configurations are defective. And if you have other languages as your working pairs there isn't much you can do with those examples. So we created some example configurations to do web look-ups in all these pairs. And they are available here. I was a bit surprised to find that I never blogged the chapters of my books that dealt with configuring the web search - I'll have to get around to that one of these days - but the memoQ Help isn't bad for this if you need a little guidance on how to add more site searches or change the configurations of these. Anyone is welcome to do with the configurations provided here as they please; I hope they will help friends, colleagues and students in the Lusophone world to go a little farther with a great tool. Something new out of Africa! Many years ago, Pliny the Elder declaimed Ex Africa semper aliquid novi – "(There's) always something new (coming) out of Africa". He was referring to the continent’s diverse natural resources, but that phrase has come true yet again, because something new has again come out from Africa with respect to its diverse human resources, Homo Africanus interpres. 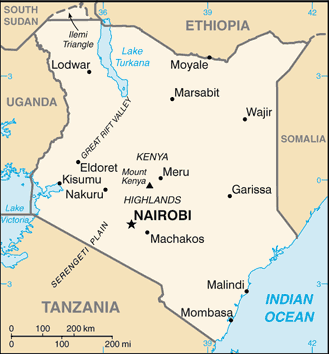 Nairobi is the capital of Kenya and the jewel of East Africa; the stomping ground of the famed Kenyan writers Ngũgĩ wa Thiong'o and Grace Ogot and the Nobel laureate Wangari Muta Maathai. With its temperate climate and lush wildlife, it’s a favorite holiday destination for hundreds of thousands of tourists each year, who come to enjoy its excellent hospitality and numerous attractions. It’s also home to the African headquarters of the United Nations and another emerging international organization – the East African Interpreters and Translators Association. 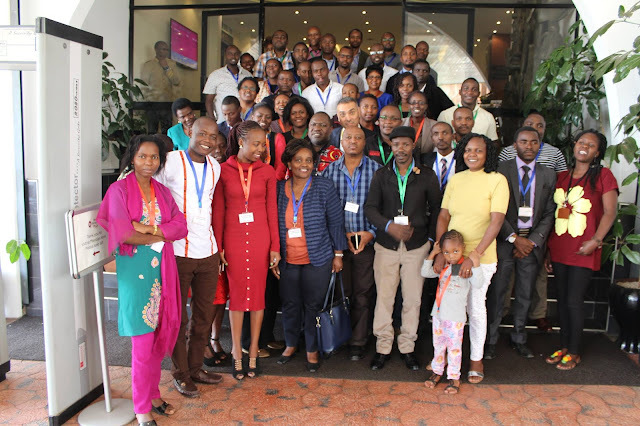 The EAITA was formed barely a year ago, with a membership comprising language professionals from across East Africa, and in its brief life it’s already held two major events aimed at boosting professional competence, featuring outstanding keynote speakers from abroad. This year’s event was held on Saturday 1st July, was focused on the use of CAT tools to promote productivity, and was deftly and professionally handled by Sameh Ragab, a vastly experienced translation professional, CAT tools trainer, and certified United Nations Vendor, who graciously gave his audience the benefit of this extensive experience at no cost. 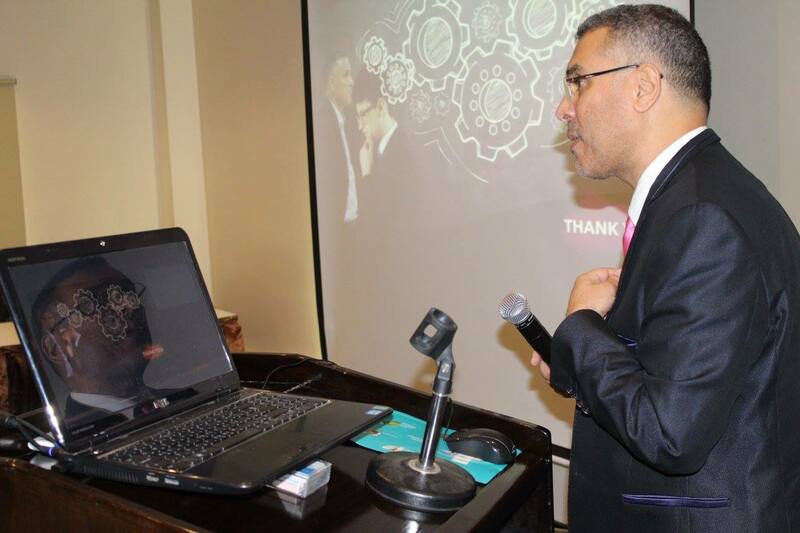 Technology guru Sameh Rageb of Egypt - a favorite teacher at conferences around the world! The uptake and use of CAT tools and other cutting edge techniques and the interest in doing so is widespread. 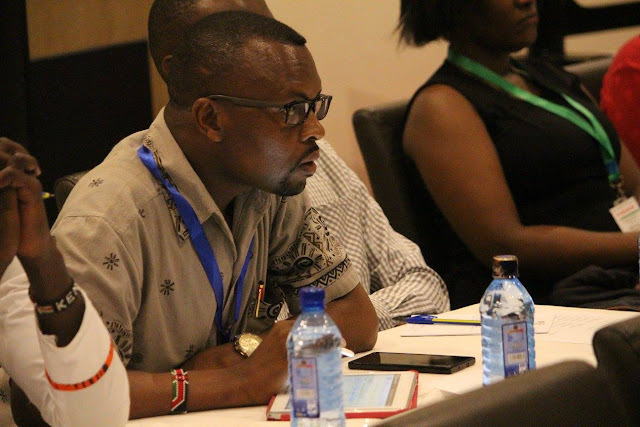 This was shown by the mini-summit nature of the event whose attendees came from all across East Africa, from Kenya itself, Rwanda, Burundi and Tanzania and from as far afield as the lush and steamy tropical nation of Nigeria. An accentologist would have had a field day. The immense expansion of language services occasioned by new communication methods and technology has definitely not passed Africa by, contrary to what some may think. African countries have largely overcome their infrastructural issues, and language professionals are busy tapping away, chuchotant in interpreting booths, leveraging latest software for transcription, project management and other needs and are doing all this in real-time, backed up by IT infrastructure to match the best in other countries. Translation and interpreting have always been a part of life in African countries. Given the continent's ethnically heterogeneous communities and countries, there has always been a need to convey meaning in written or oral form between its peoples, and the average language professional here (who is usually already natively bilingual in one or more of its lingua francas or native languages) is simply taking this inbuilt familiarity with language manipulation to the next level. In view of the nearly full turnout of EAITA members and the interest generated by this event, international language service providers would do well to screw their monocles firmly in place and divert some of their flighty attention towards the continent’s language professionals. Not as a source of cheap labor, but rather in search of skilled, competent, thoroughbred professionals whose skills and expertise are on a par with anything obtainable worldwide, and whose diverse peoples speak, read, write, translate and interpret an equally diverse range of languages with proficiency including lingua francas such as Swahili, English, Arabic, French, Spanish, Hausa, Igbo and many, many more. Congratulations to the EAITA for the successful event, which was also supported by the International Association of Professional Translators and Interpreters; I’m looking forward to more new, good things coming out of Africa! Obi Udeariry is a specialized legal translator who translates all kinds of legal documents from French, German and Dutch to English. He has a law degree and several translation certifications and has been a full-time freelance translator for 14 years. 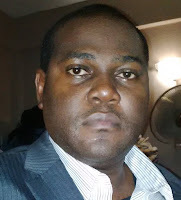 He is the Head of the Nigerian chapter of the International Association of Professional Translators and Interpreters (IAPTI), and lives in Lagos, Nigeria with his wife and two sons. ... but with over 4 billion of them, that interpretation of the News on the Web corpus at Brigham Young University would be plausible. BYU is known for its high quality research corpora available to the public. The news corpus grows by about 10,000 articles each day, and its content can be searched online or downloaded. It is difficult or impossible to configure a direct search in these corpora using memoQ Web Search, IntelliWebSearch or similar integrated web search features in translation environments. However, these tools can be used as a shortcut to open the URL, and the search string can be applied once the site has been accessed. Since I perform searches like this to study context infrequently, a standalone shortcut with IWS serves me best; if I were using this to study usage in a language I don't master very well, like Portuguese (yes there is a Portuguese corpus at BYU - actually, two of them, one historical), then I might include the URL in a set of sites which open every time I invoke memoQ Web Search or a larger set of terminology-related sites in an IntelliWebSearch group. Some time ago, I was asked by IAPTI to provide some technical support for a developing effort to assist professional translators in various African regions. The flame of the Translators Without Borders center established a few years ago in Kenya has apparently sputtered out due to an incredibly silly anti-business model which undermined local professionals, so various initiatives were launched to help translators in the region grow stronger together and improve their professional practice. 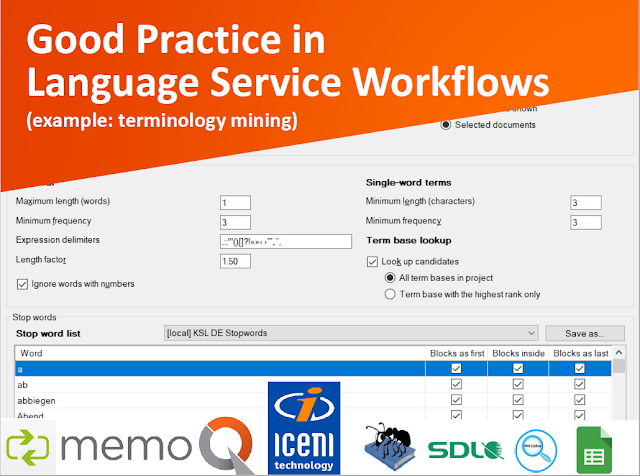 Since memoQ is perhaps the best tool for managing the challenges of expert translation under the widest range of languages and conditions, I considered how I might contribute to solving some of these and reduce the frustrations of language barriers in Africa. I thought of all the business travelers there, as well as the NGOs and representatives of governments around the world who want a piece of what's there. All alone, strangers in a strange land, sweltering in some Nairobi hotel, how can these people even get a date in Swahili? Once again, it's Kilgray to the rescue... with memoQ's auto-translation rules! Using the various methods I have developed and published for planning and specifying auto-translation rules, I assembled an expert team for translation in Swahili, Arabic, Hebrew, English, German, Portuguese, Spanish, French, Russian, Hungarian, Dutch, Finnish, Polish and Greek to draft the rules for getting long dates in Swahili. And using the Cretinously Uncomplicated Process for Identifying Dates (CUPID), these results can be transmogrified quickly to support lonely translators working from German, French and English into Arabic or from German, French, English and Spanish into Portuguese, for example, or in any combination of the languages applied for Swahili dates or others as needed. With memoQ and regex-based auto-translation, you'll never be stuck for a quality-controlled date in any language! I hear that Germany is suffering from a shortage of Porsches. Odd, given that the cars are made there and should be readily available, but it's true, because my friend who lives there told me. He owns a large, successful LSP (Linguistic Sausage Production) company, and to celebrate its rise in revenues, he decided to get everyone on the sales staff a new Porsche as a company car. The problem is that he can't find any for €5000 euros. So he was left with no choice but to cut overhead using the latest technologies. Microsoft to the rescue! With Microsoft Dictate, his crew of intern sausage technologists now speak customer texts into high-quality microphones attached to their Windows 10 service stations, and these are translated instantly into sixty target languages. As part of the company's ISO 9001-certified process, the translated texts are then sent for review to experts who actually speak and perhaps even read the respective languages before the final, perfected result is returned to the customer. This Linguistic Inspection and Accurate Revision process is what distinguishes the value delivered by Globelinguatrans GmbHaha from the TEPid offerings of freelance "translators" who won't get with the program. But his true process engineering genius is revealed in Stage Two: the Final Acquisition and Revision Technology Solution. 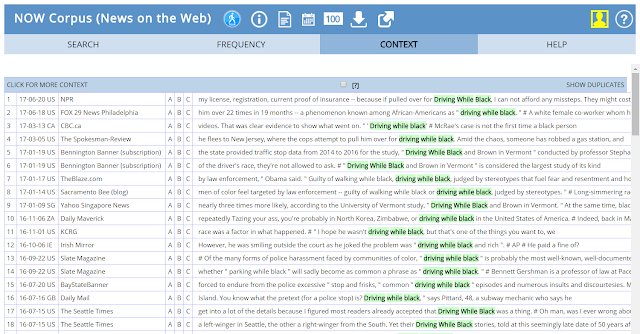 There the fallible human element has been eliminated for tighter quality control: texts are extracted automatically from the attached documents in client e-mails or transferred by wireless network from the Automated Scanning Service department, where they are then read aloud by the latest text-to-speech solutions, captured by microphone and then rendered in the desired target language. Where customers require multiple languages, a circle of microphones is placed around the speaker, with each microphone attached to an independent, dedicated processing computer for the target language. 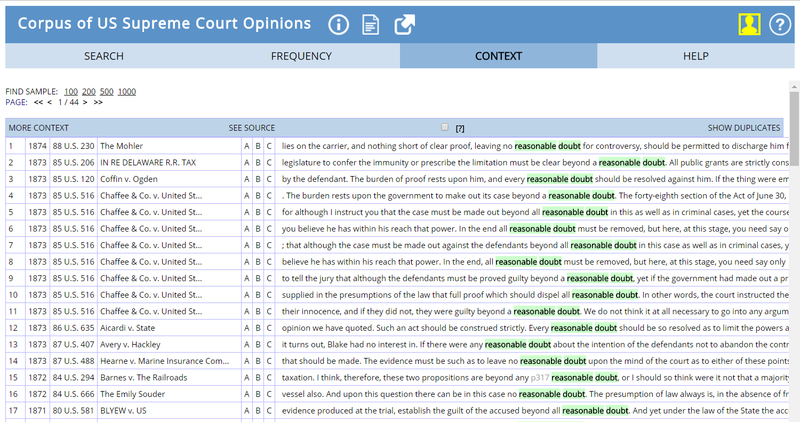 Eliminating the error-prone human speakers prevents contamination of the text by ums, ahs and unedited interruptions by mobile phone calls from friends and lovers, so the downstream review processes are no longer needed and the text can be transferred electronically to the payment portal, with customer notification ensuing automatically via data extracted from the original e-mail. Major buyers at leading corporations have expressed excitement over this innovative, 24/7 solution for globalized business and its potential for cost savings and quality improvements, and there are predictions that further applications of the Goldberg Principle will continue to disrupt and advance critical communications processes worldwide. Articles have appeared in The Guardian, The Huffington Post, The Wall Street Journal, Forbes and other media extolling the potential and benefits of the LIAR process and FARTS. And the best part? With all that free publicity, my friend no longer needs his sales staff, so they are being laid off and he has upgraded his purchase plans to a Maserati. 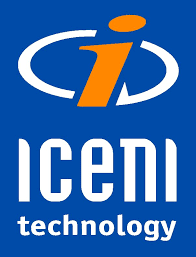 The integration of the online TransPDF service from Iceni in memoQ 8.1 has raised the profile of an interesting company whose product, the Infix PDF Editor, has been reviewed before on this blog. 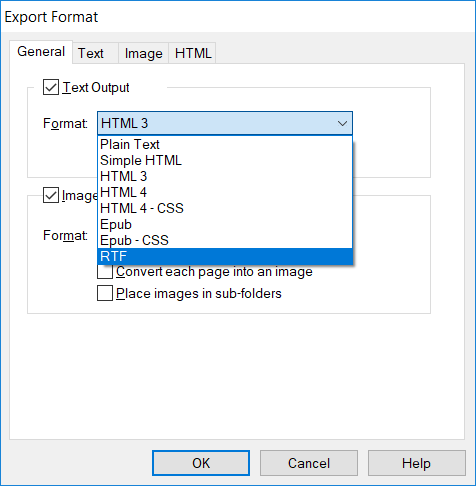 TransPDF is a free service which extracts text content from PDF files, converts it to XLIFF for translation in common translation environments, and then re-integrates the target text from the translated XLIFF to create a PDF file in the target language. This is a nice thing, though its applicability to my personal work is rather limited, as not many of my clients would be enthusiastic if I were to send PDF files as my translation results. Sometimes that fits, sometimes not. And of course, some have raised the question of whether using this online service is compatible with some non-disclosure restrictions. I think it's a good thing that Kilgray has provided this integration, and I hope others follow suit, but for the cases where TransPDF doesn't meet the requirements of the job, it is useful to remember Iceni's other options for preparing text for translation. 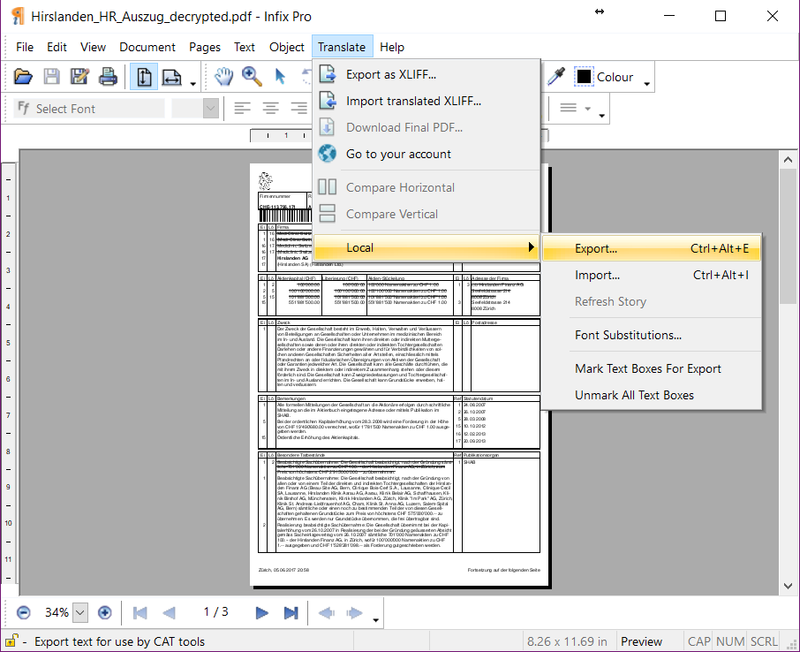 As long as I can remember, the Infix PDF Editor has offered the option to export text on your local computer (avoiding potential non-disclosure agreement violations) so that it can be translated and then re-imported later to make a PDF in the target language. Only the location of this option in the menus has changed: the menu choices for the current version 7 are shown below. This solution suffers from the same problem as the TransPDF service: not everyone will be happy with the translation in PDF, as this complicates editing a little. However, I find the XML extract very useful to put the content of PDF files into a LiveDocs corpus for reference or term extraction. The fact that Infix also ignores password protection on PDFs is also helpful sometimes. 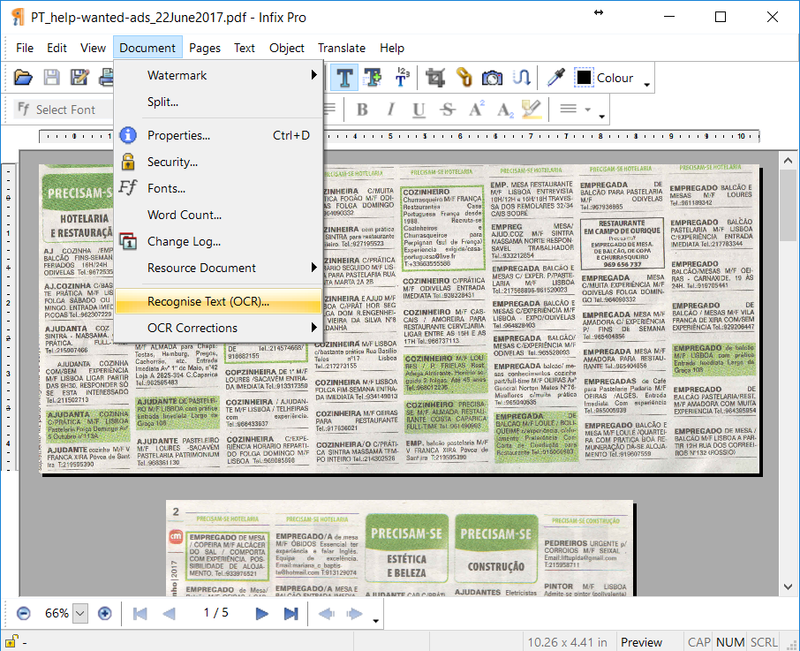 The Article Tool of the Iceni Infix PDF Editor enables various text blocks on different pages of a PDF file to be marked, linked and extracted in various translatable formats such as RTF or HTML. The quality of the results varies according to the format. 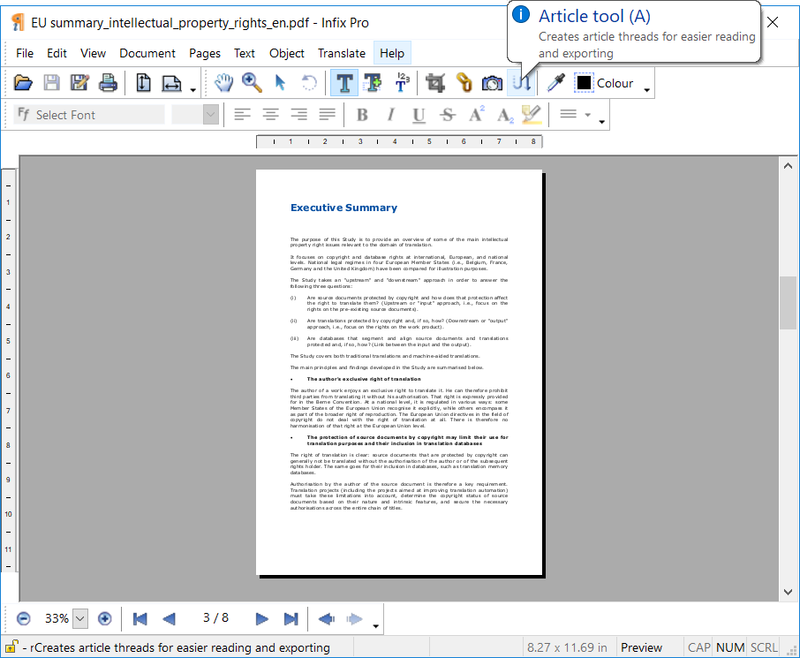 Use of the article export feature requires a license for the Infix PDF editor, unlike the XML or marked-up text exports for translation. In demo mode, random characters are replaced by an "X" so that one can see how the function works but not receive any unjust enrichment from it. However, this feature has significant value for the work of translators and is well worth an investment, as the results are typically better than using OCR software on a "live" (text-accessible) PDF file. I tested it briefly on some scanned Portuguese Help Wanted ads that I'll probably use for a corpus linguistics lesson this summer; the results didn't look too awful all considered. This feature is worth a closer look as time permits, though it is unlikely to replace ABBYY FineReader as my tool of choice for "dead" PDFs.